JUVEDERM ® is an injectable dermal filler that works quickly to decrease the appearance of skin folds located between the corners of the nose and the corners of the mouth. 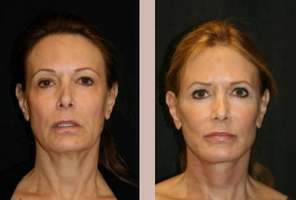 These deep folds are called nasolabial folds and are often referred to as "smile lines." Nasolabial folds are a natural result of aging, but they can have a detrimental effect on one's confidence and self esteem. JUVEDERM ® has also been used successfully as a plumping injection to the lips, which commonly lose shape and volume as a result of natural aging. JUVEDERM ® and similar dermal fillers such as Restylane are composed of hyaluronic acid, which forms naturally in the skin, tendons and muscles. Hyaluronic acid effectively works to hydrate the skin while simultaneously plumping it, giving skin a more youthful appearance. The procedure is similar for JUVEDERM ® , Restylane and most other dermal fillers. The nasolabial folds or other targeted areas are injected with a gel that includes a set concentration of hyaluronic acid. More of the gel is injected for patients with deeper skin folds, and less is used for patients with mild wrinkling. The treatment typically takes between twenty minute and half an hour to administer. Juvederm is an advisable choice for those looking to eliminate nasolabial folds without enduring the hassles of or paying the high costs for plastic surgery. It is the least invasive option for removing nasolabial folds, and has the fewest side effects. The side effects that do occasionally occur include mild redness, swelling, and brief tenderness or bruising. Another benefit of selecting JUVEDERM ® as a dermal filler is that Juvederm has been approved by the Food and Drug Administration since 2006. 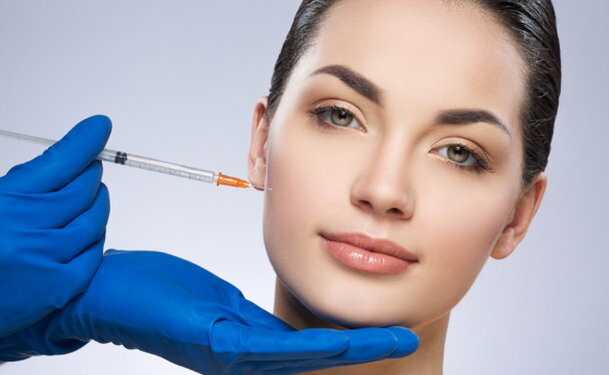 This means that the dermal filler has undergone, and passed several evaluations and was deemed safe and effective as a medical treatment. In a clinical study conducted prior to JUVEDERM ® 's FDA approval, particpants had JUVEDERM ® injected in one skin fold, and Zyplast (another dermal filler) injected in the opposite fold. After following the participants for 24 weeks, the patients and their physicians were surveyed, and over 85% of them agreed that the side of the face injected with JUVEDERM ® had more consistent results and were rated higher in terms of appearance than the side of the face injected with Zyplast. Dermal fillers are an effective solution to deep facial skin folds and are touted for their minimal incisions, quick recovery time, and lack of side effects. JUVEDERM ® has been proven time and time again to be a safe and reliable option for those wishing to eliminate "smile lines."